Aveeno Active Naturals are ingredients derived from nature and uniquely formulated to replenish skin's natural moisture to reveal its natural health and beauty. 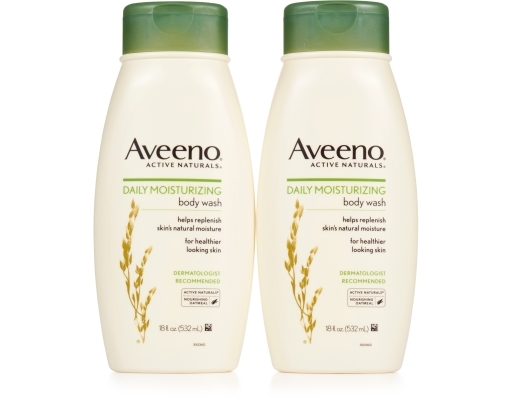 This creamy body wash moisturizes for noticeably healthier looking skin every time you shower. 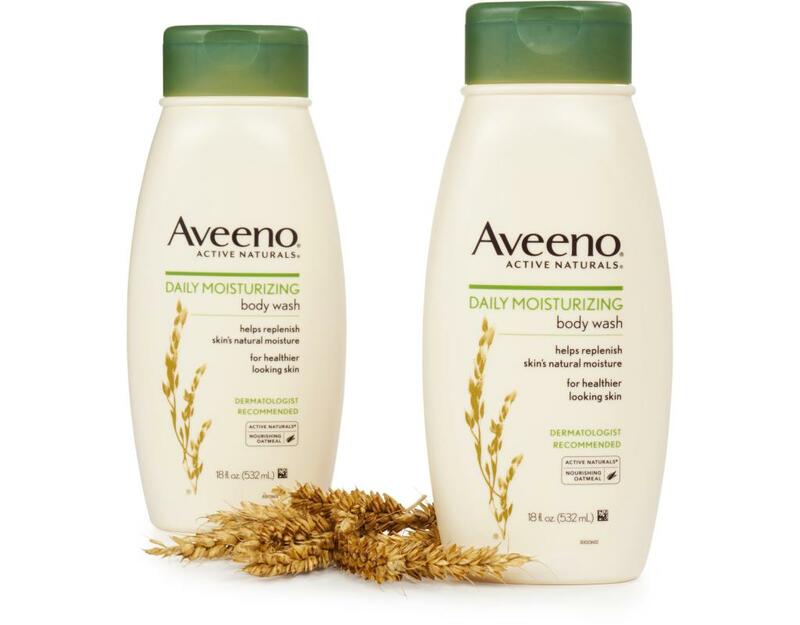 The unique Aveeno formula, which combines nourishing oatmeal with rich emollients, helps to lock in moisture resulting in softer, smoother skin long after you shower. 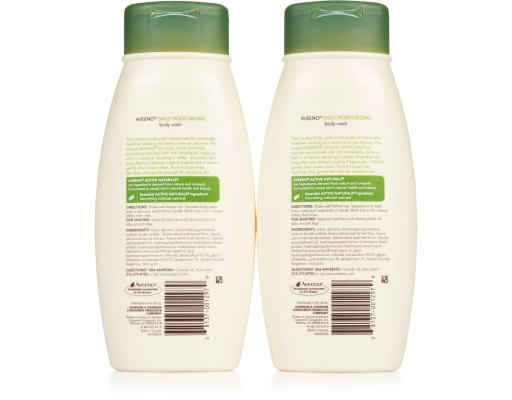 Lightly fragranced, it lathers gently then rinses clean. 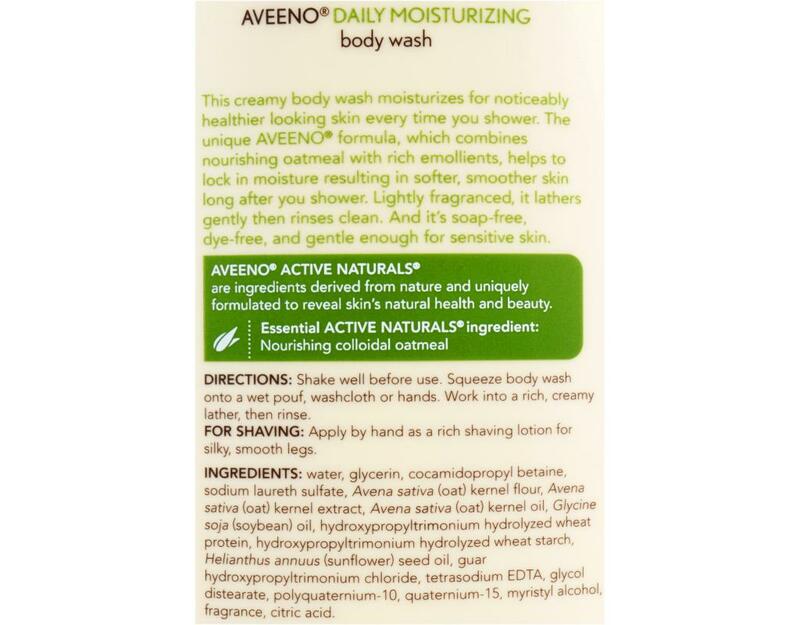 And it’s soap-free, dye-free, and gentle enough for sensitive skin.